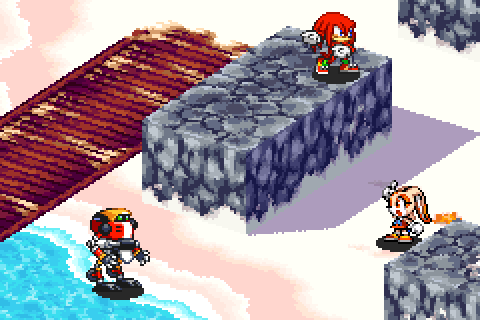 A study of Sonic Battle's 3D renderer and its re-creation using the oryol framework. 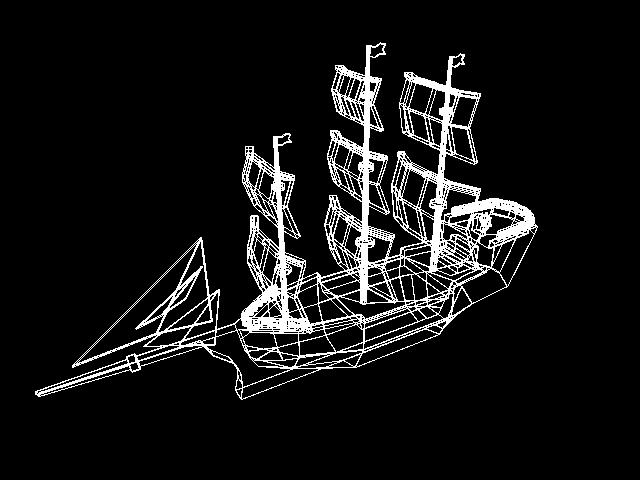 Wiresterizer is a wireframe polygon software rasterizer. It was made to display the logo on the homepage and to prototype a Game Boy Advance software rasterizer. 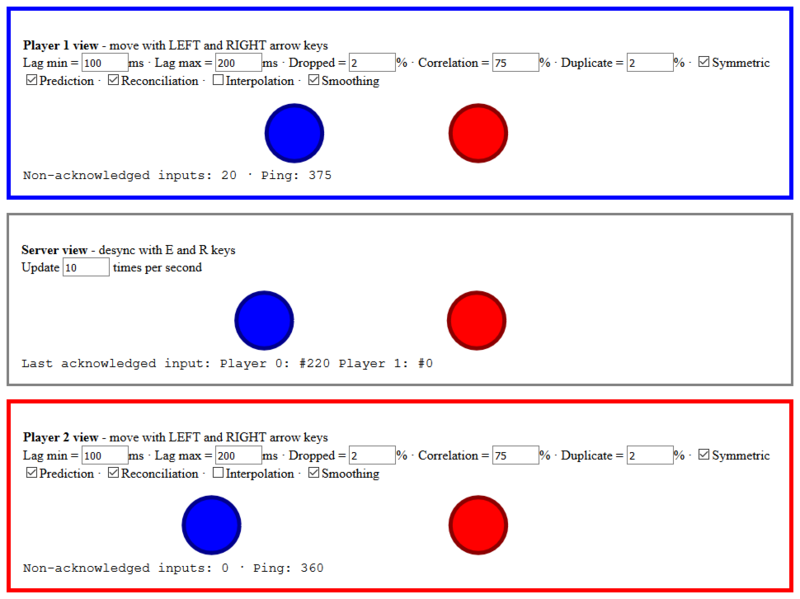 Online multiplayer games employ many techniques to present a responsive and consistent simulation to players. The task involves hiding or smoothing communication delays, predicting simulation states, resolving diverged states, and much more. In this series I explore the implementations of these techniques and create interactive demos to showcase them. BlipEngine is a 3D engine I made as my first dive into OpenGL and graphics programming. My game Subsector was made with BlipEngine. SpaceVideo is a minimalist Qt5 GUI front-end for the VLC video player library. 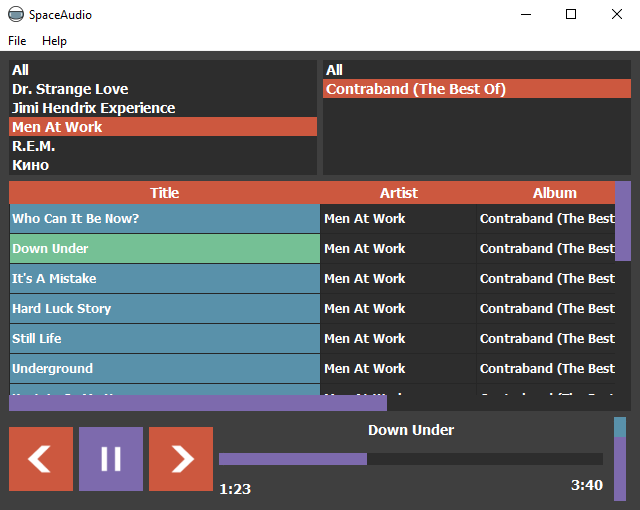 SpaceAudio is a desktop music player and minimalist library manager written using PyQt(5). Its features are audio file playback, and automatic organization and browsing of audio files by artist and album. ChopChop is an interpreted script language written in Haxe. Its syntax is similar to Haxe, and it can inter-operate with Haxe code and objects that are shared with it during runtime. It was made for a game to enable scripting and user plugins. 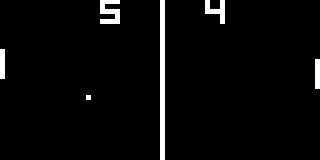 This is a cross-platform CHIP-8 (aka Pong) emulator written in Haxe. It's abstracted so that it can be integrated into any engine/framework. 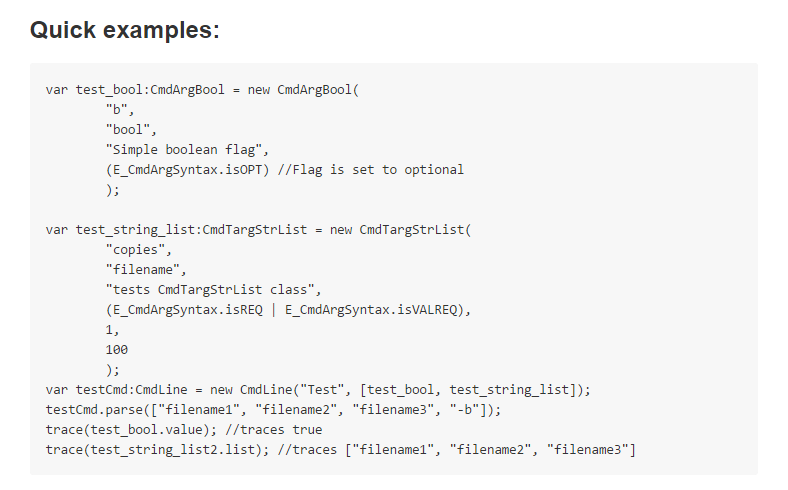 A sample OpenFL integration is included. AdventureEdit is 2D sprite-based level editor. 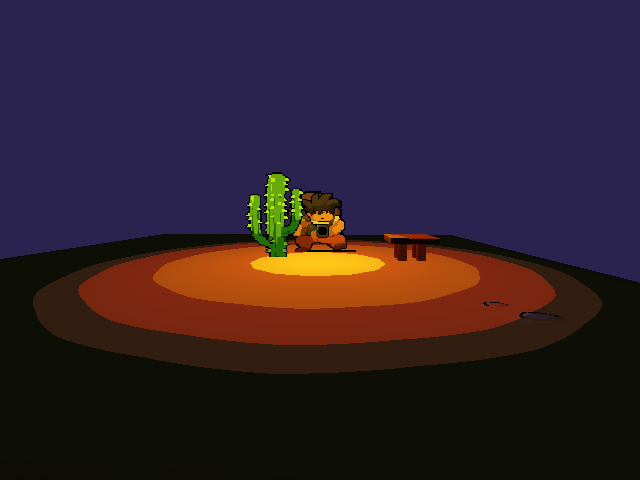 It was made for an adventure game with a 2D top-down view. FlxSpriter is a tool which displays sprite animations as you work on them in your favourite image editor. 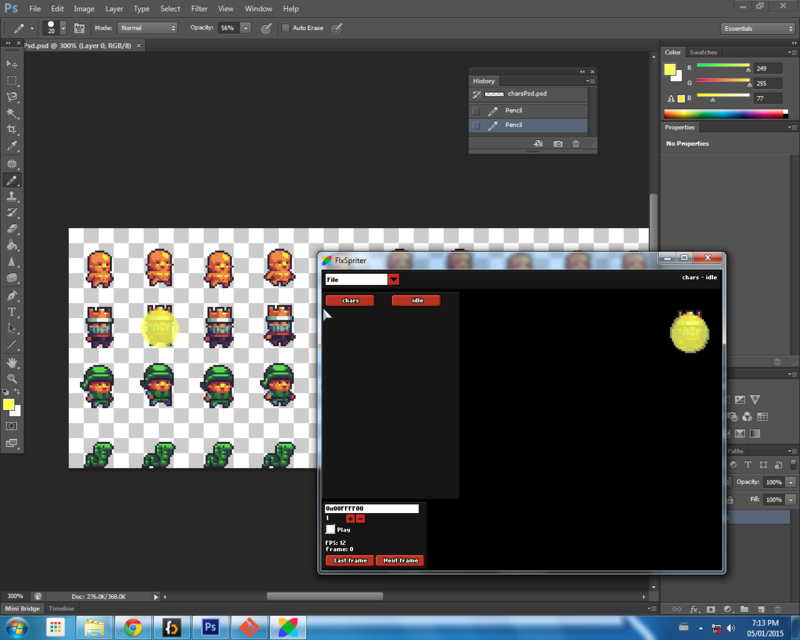 It helps working on spritesheets in Photoshop for example. 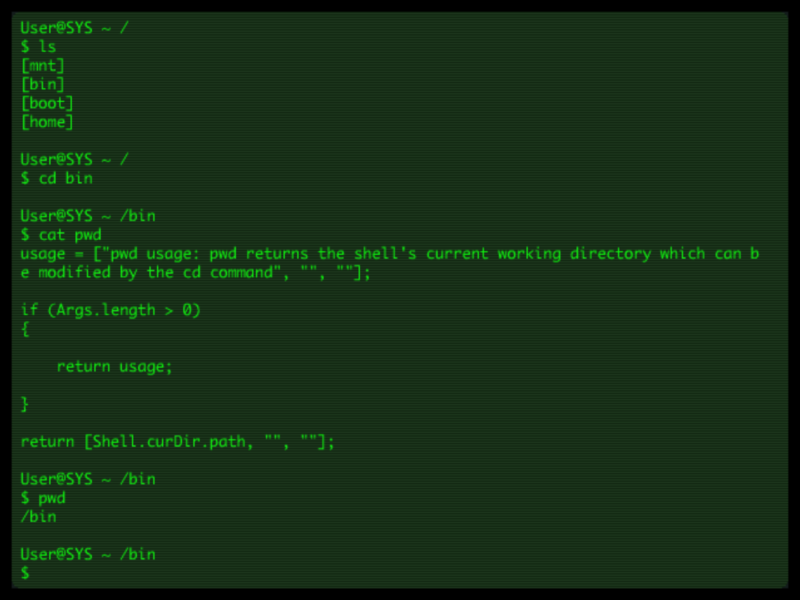 FlxShell is a pretend Linux-like environment. It consists of a scripting language, a filesystem, a shell, and a few tiny clones of core GNU utilities. It was meant for a text-based game, and to be a mini-game for interacting with hardware in another sci-fi game. 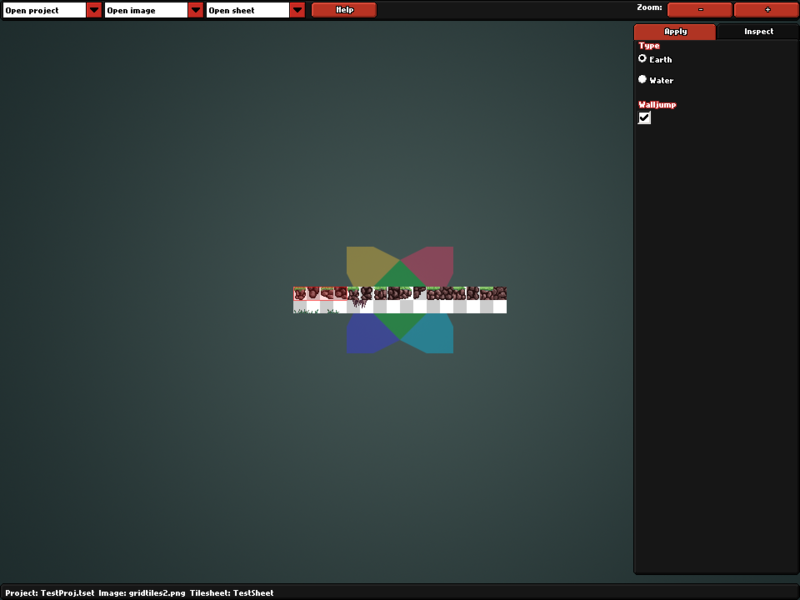 TileSetter is a tileset editor. It lets the user define properties for individual tiles. 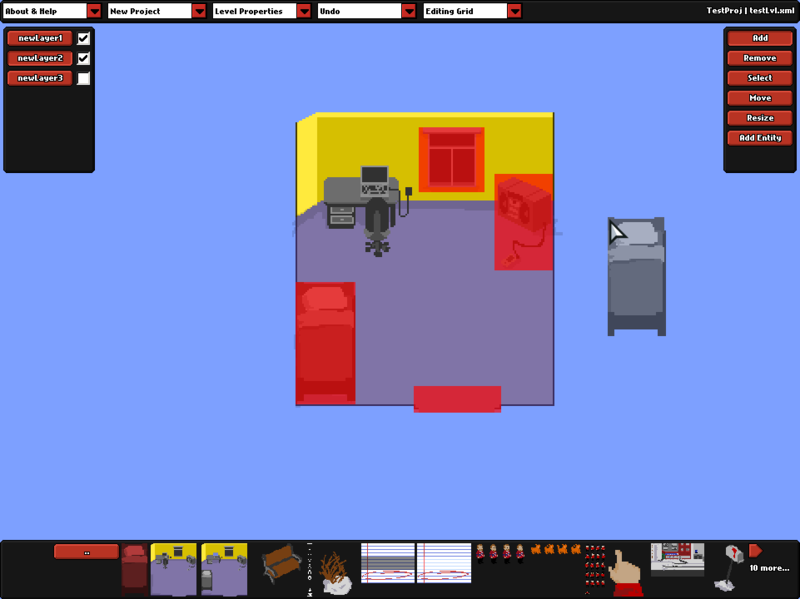 It complements nicely the Ogmo level editor which misses this feature. 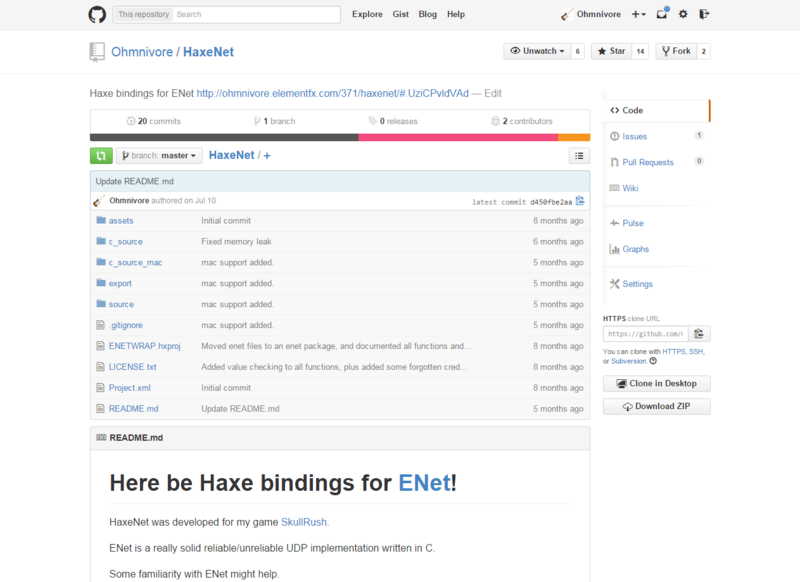 HaxeNet is a wrapper of the ENet library for the Haxe programming language. It provides reliable UDP messaging. Development in parallel with SkullRush. HxCLAP is a Haxe port of CLAP (a command line argument parser). This is a small experiment for command line interface development in Python. It turned out great. 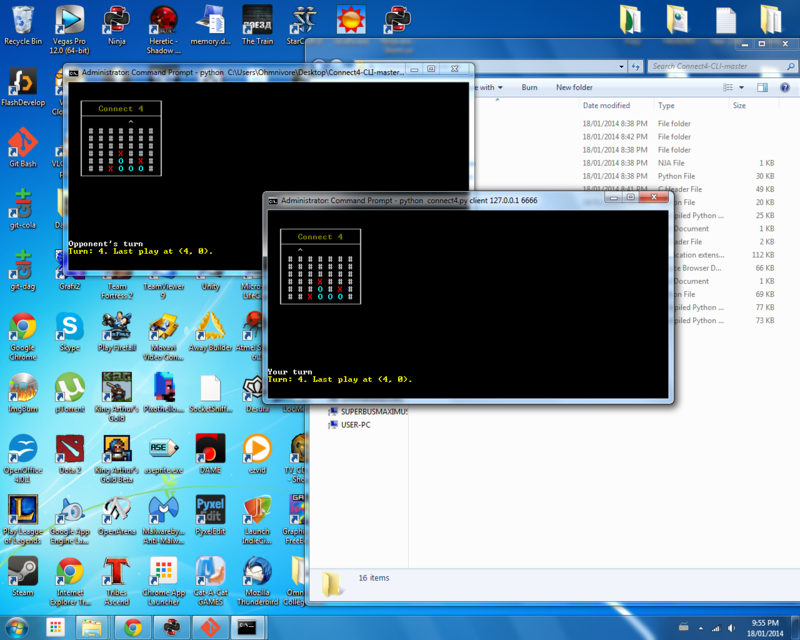 This project is Connect Four in a terminal, playable over the network through TCP. 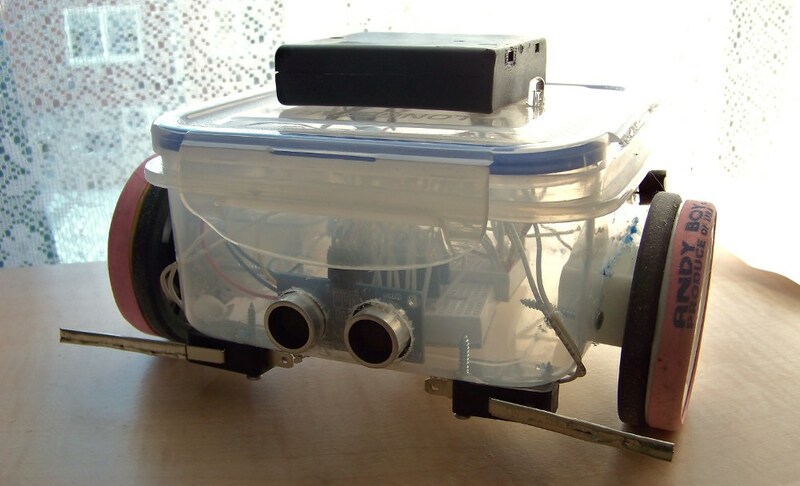 Bot in a Box is an Arduino-based robot platform. It uses a plastic food box as a chassis. It's outfitted with two motors and a bunch of sensors.